Two women prominent within an extremist, anti-trans group of feminists filmed themselves taunting and harassing a transgender activist. 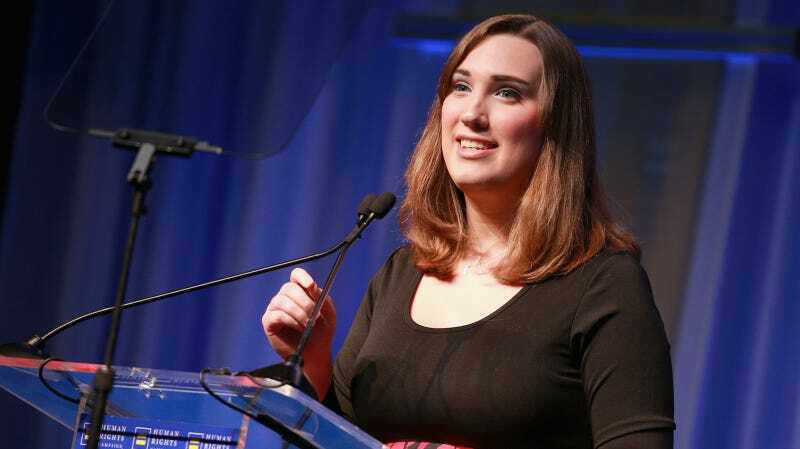 The livestream is no longer available on Facebook, but according to HuffPost, British trans-exclusionary radical feminists Posie Parker and Julia Long repeatedly mocked and misgendered trans activist Sarah McBride, who is the national press secretary for the Human Rights Campaign, during a meeting in Washington D.C.
Parker runs anti-trans group Standing For Women, which opposes the U.K.’s proposed reforms for the Gender Recognition Act 2004. The Act would remove barriers that to self-identifying gender. Last fall, supporters of Standing For Women posted anti-trans stickers and billboards in Liverpool to protest a citywide motion that would support trans people (the motion passed).